It’s 2015, the year of our pop-culture lords’ celebration of the 30th anniversary of Back To The Future. So far, there’s been a TV marathon of the films, a movie-related redesign of pants pockets, and the announcement of Hoverboard Day. The near-future date of October 21, 2015—that hallowed day on which Marty McFly and Doc Brown traveled to the future with no need for roads—will also see the release of a Back To The Future documentary. 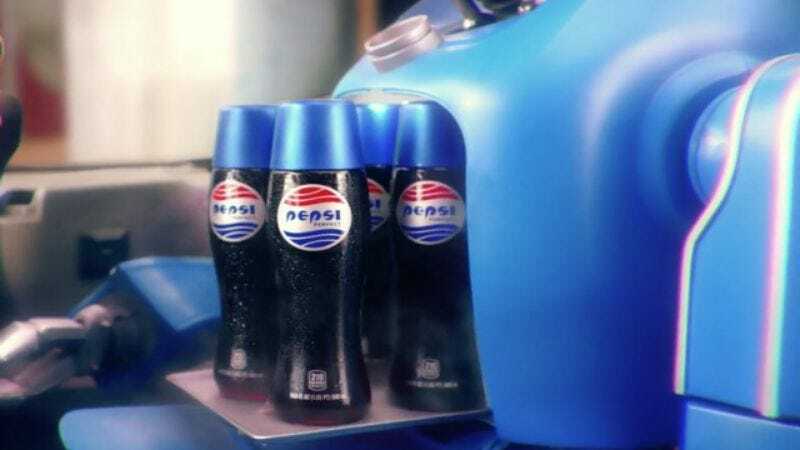 If you were wondering which beverage to pair with your own festivities, Pepsi has just made movie-prop/soft-drink fantasies come true with the limited release of Pepsi Perfect, the beverage Marty orders at Cafe 80’s in the second movie. There are other memorabilia options out there for the BTTF collector who’s more of a Coke fan: ScreenUsed is holding a live auction on October 24 of items such as Biff bucks, Doc Brown’s binoculars, and Griff Tannen’s BMW. There are over 125 items up for sale, and the bidding has already begun online. And keep your eyes peeled for a future A.V. Club Taste Test, in which we might compare the taste of a vitamin-enriched soda with whatever Tab is.